Using the online catalogue’s search feature, type in the keyword “olive” and you’ll find Portrait de l’artiste au papier peint olivâtre(Portrait of the artist against olive-colored wallpaper), 1880–81. That person, like many others, was unhappy with the mostly black-and-white reproductions found in the1996 catalogue of the Post-Impressionist painter, compiled by the late John Rewald, with Walter Feilchenfeldt and Jayne Warman. For her part, Warman says she’s well aware that the book’s monochrome complexion “drives everybody crazy.” It’s a problem that will be remedied this year, with the launch of a web-based catalogue raisonné featuring full-color images of every confirmed Cézanne painting in existence. Warman and Feilchenfeldt have returned to spearhead the project, alongside David Nash, co-owner ofMitchell-Innes & Nash gallery in New York, who is providing the funding. Access to the catalogue will be free. Chief among those advantages is searchability. In book form, the illustrations are all “lumped together,” as Nash puts it. With the web catalogue, users can search via almost any keyword that relates to a painting’s content, colors, exhibition history, owner, or many other attributes. This can lead to surprisingly specific explorations. Say you want to find all the Cézanne paintings with flowery wallpaper in the background: type in “floral wallpaper” and several examples will appear on-screen. Or you can re-create the Cézanne exhibition you saw in Vienna 14 years ago, or look at all the Cézannes owned by the Barnes Foundation in Philadelphia. The thumbnails are displayed in relative size to one another, which is useful (especially to curators) when viewing them on a computer screen, where the scale of an artwork is not always obvious. The website is being designed by father-daughter duo Roger and Susannah Shepherd of panOpticon, who also made the online catalogues raisonnés of Mary Cassatt and John Singer Sargent. Unlike a book, an online catalogue can be instantly updated. The Aqueduct at Écluse, 1890–94, was renamedThe Burned-Out Mill at Charentonneau when the site was recently rediscovered and photographed. Paintings change ownership. New evidence reveals the true identity of a sitter or a site. Even the title of a piece can vary from exhibition to exhibition. All of these issues can be updated as they arise. And every so often, a previously unrecorded Cézanne will show up. So far, only one painting will appear in the new catalogue that wasn’t in the 1996 book—a small oil-on-canvas “Bathers” scene painted between 1902 and 1906, which sold for $3.1 million at Christie’s in late 2011. All three contributors have long histories with the Cézanne canon. 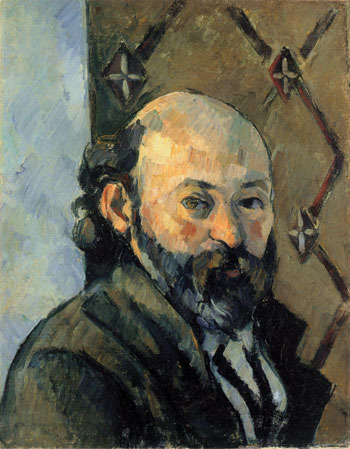 Feilchenfeldt’s father, Walter Sr., introduced Cézanne’s work to German audiences as a partner at the legendary Paul Cassirer gallery in Berlin in the 1920s and ’30s. He eventually opened his own gallery in Zurich after the war. Walter Jr. joined the family firm in 1966 and now concentrates on art scholarship and authentication, specializing in Cézanne and van Gogh. Nash remembers seeing his first Cézannes at Tate Britain as a child and then being blown away by Still Life with Pears (1895) when it came up for sale in 1961 at Sotheby’s in London, where he was working in the Impressionist paintings department. He spent 35 years with the auction house, heading up its international Impressionist and modern division in New York before opening Mitchell-Innes & Nash with his wife, Lucy Mitchell-Innes. Warman started working for Rewald in 1979 to assist with the Cézanne watercolor catalogue raisonné, which was published in 1983. She stayed with Rewald until his death in 1994, two years before the release of the paintings catalogue. “He taught me everything I know about Cézanne,” she says. 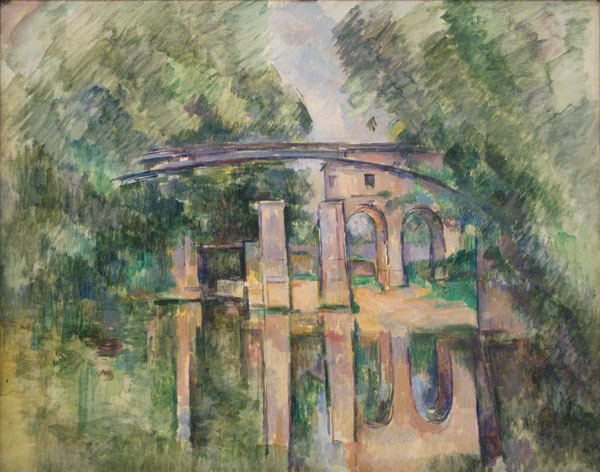 In addition to Cézanne’s own work, the site will have contemporaneous photographs and postcards of the places he painted, photos and film footage of his exhibitions from more than a century ago, Rewald’s scholarly texts, and links to newspaper clippings, reviews, and other original source material. Warman foresees that these items will only increase as the public learns about the online catalogue and sends more contributions. Out in the publishing world, there’s also a new English translation ofThe Letters of Paul Cézanne (Getty Publications) by Alex Danchev, which includes cross-references to the Rewald catalogue.